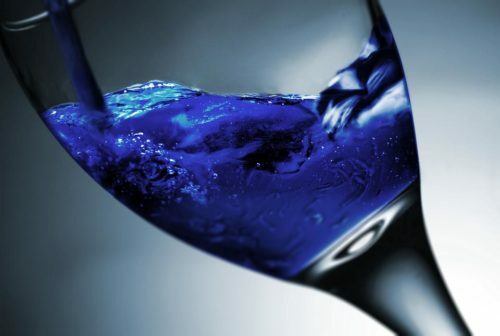 Blue wine is a variation of wine that has specifically been produced to exhibit a distinct blue hue. Its color is not meant to alter the flavor, but to primarily enhance the visual aspect when drinking. Drinking blue wine can be a bit of a “culture shock” to conventional wine drinkers who are well versed in their reds, whites, and rosés. However, this new generation of wines are still made from wine grapes and simply incorporate colorants that would make the sea and the sky jealous. Where can I get it? Produced by a very limited number of manufacturers, blue wine will likely not be found in your nearest liquor store. However, it can be found online. Here are a few companies known for their uniquely imbued wines. 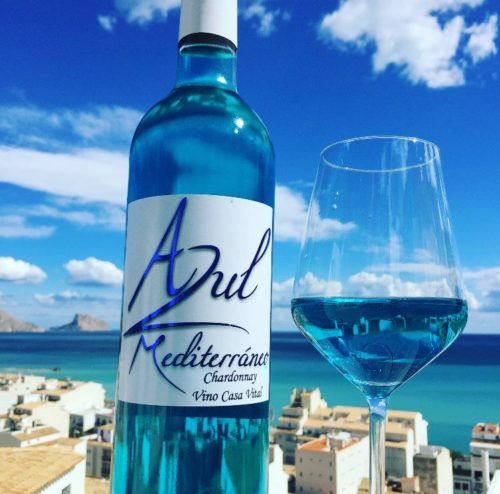 Azul Mediterraneo is a line of blue wines created by Vino Casa Vital. These blue wines are made from chardonnay grapes and colored with anthocyanin, a natural blue pigment present in the skin of red grapes. This substance, which has no influence on the taste of the wine, is mixed with chardonnay grapes to create a cerulean blue color. The makers describe their wine as having “a cool and soft taste with a full-bodied texture and a fruity finish. The smell is very expressive with fruity aroma of mango, peach skin and apple. This wine is a perfect match with white fish, seafood, grilled white meat and pork or as aperitif.” They have multiple blue wine products available: classic, dry, frizzante and brut nature. Azul Mediterraneo is currently available in Norway, Spain, Germany, Sweden, Bulgaria and Greece. 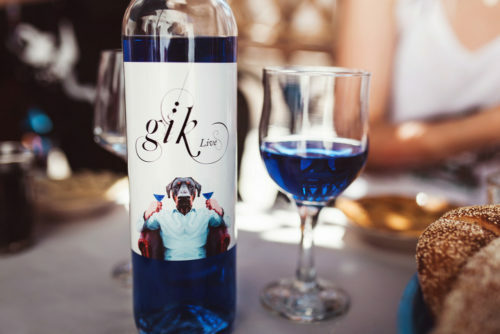 Gik is a Spanish wine company that specializes in producing blue wine from a blend of red and white grapes. It’s a chilled white wine with organic pigments (anthocyanin, from the skin of red grapes, and indigotine) and yields a sweet, crisp flavor. The grapes come from the Spanish and French vineyards of La Rioja, Zaragoza and Courthézon. 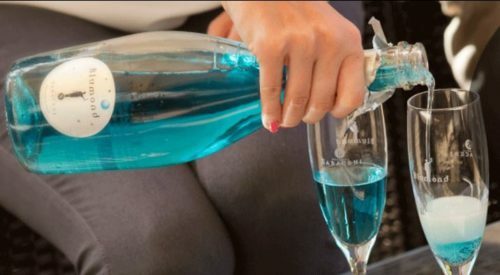 According to the company, this blue wine pairs wells with pretty much anything. Saracini is an Italian wine company that makes a variety of avant-garde and classic wines. Blumond® is their sparkling blue wine. Technically, it’s a Prosecco mixed with blue curaçao. It has a vibrant light blue hue and presents a sweet, peachy flavor. Presented as a substitute for Champagne or Prosecco, Blumond is served in flute glasses. It has been lauded as a special occasion beverage and has grown in popularity for wedding-related events. Blumond is available to be shipped internationally (Europe, U.S., Asia and Oceania).